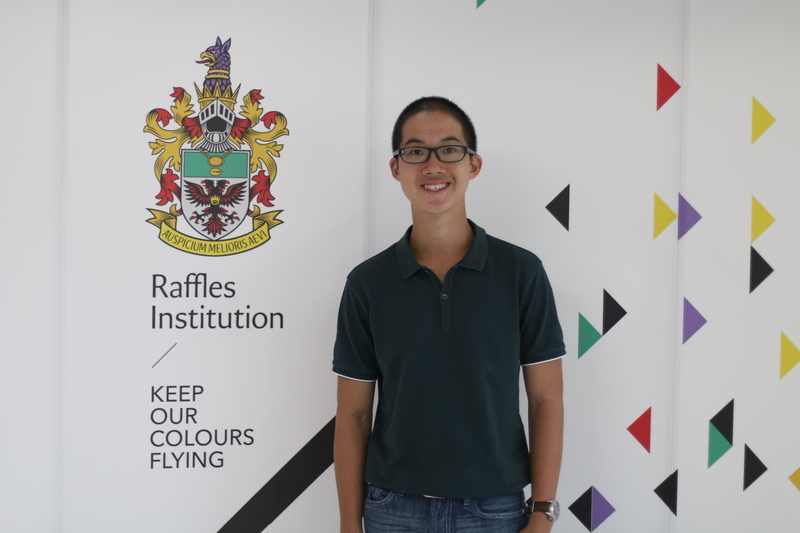 The final part of our Student Feature series features Rafflesians who’ve invested significant time in their Rafflesian experience exploring their personal interests, off the beaten track. Upon speaking to Paul (15S03A), his passion for Geography and his dedication to Scouts, his CCA, become immediately evident. He claimed that his interest in these two intimately related fields was sparked at a very young age but his six years in Raffles was when he was given the resources to eagerly and actively pursue them. Opting to study Geography as a RA subject in Year 3 and 4, Paul was deeply appreciative the opportunities he got in his stint in Geography RA, including overseas trips to further enrich his knowledge on geographical issues. The fact that most think his favourite discipline is “just about rocks” distresses Paul and he vehemently insists that Geography is misunderstood. To him, the subject is more concerned with people, space and the intricate relationship between those two entities. This appreciation inspired him to compete with the Geography National Team in 2014 and to pick the H3 Geopolitics module in J2. As a veteran Scout, Paul dedicated himself to training his juniors. Seeing young minds grow was, he said, immensely fulfilling and heartwarming, and the reason why he stuck with Scouts for 10 years and counting. Because he truly believed in the mission of nurturing the next generation to step up and serve, he and his team also embarked on an eight month project to set up a Scouts Unit in Crest Secondary School. Their efforts enriched the lives of the underprivileged students in that school. Paul was recognized for his leadership, skills and resilience in 2014, when he was awarded the prestigious President Scout Award, the highest award that can be accorded to a Venture Scout. Looking forward, Paul intends to study Geopolitics or International Relations in university, with the goal of eventually pursuing a career in public service. 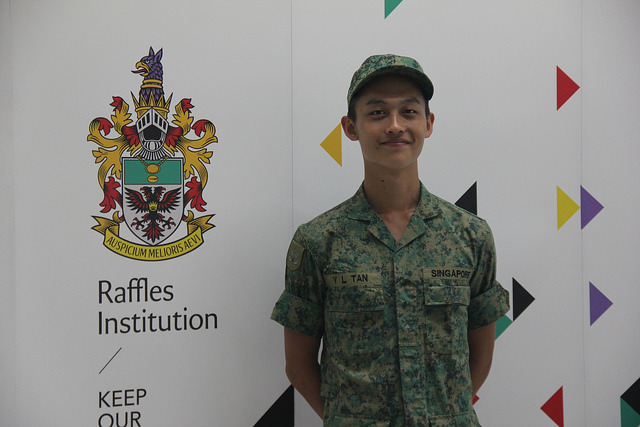 When asked about himself, Arel Chua (15S03N) professed an appreciation for challenges. This is precisely why Boys Brigade, his CCA, meant so much to him. While the commitment level of his CCA was undoubtedly high, it also gifted him with numerous opportunities to step outside of his comfort zone and become a more disciplined, principled individual. Arel served in the company from 2014 – 2015 as a Primer, attaining the rank of Senior Cadet Lieutenant, and was also awarded the President’s Award in 2015, the highest award possible for a Primer. When asked whom he would like to thank, Arel credited his success to everyone who was there for him during his Boys Brigade journey. He was especially grateful for his seniors, who were endless sources of inspiration and always came back to Raffles Institution to impart their knowledge. CCA aside, Arel also sought to challenge himself academically. He pursued his interest in Biology by studying Biology as RA subject, dedicating his Monday mornings to Biology Olympiad training and representing the school in the competition. 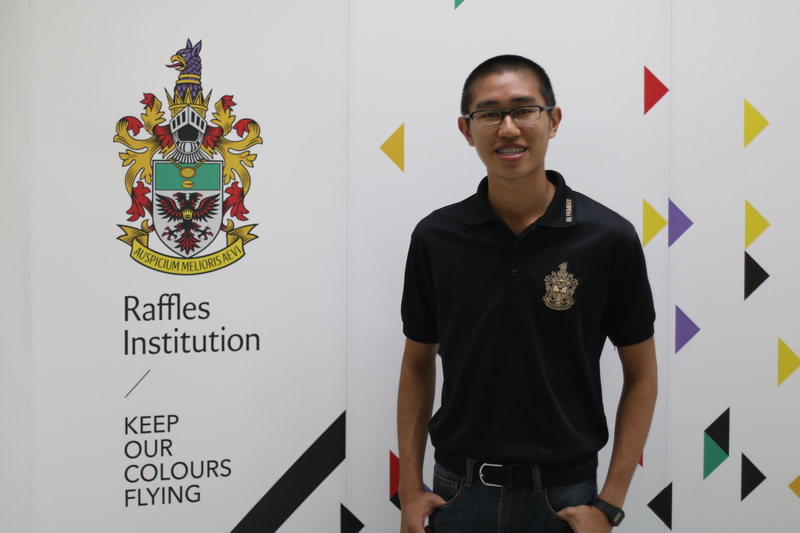 Indeed, Arel harbours medical school aspirations and recognises that many Rafflesians do as well. What he sincerely hopes for is that those who have set their minds on Medicine pursue it as a degree and vocation if and only if they feel that helping people in this way is their calling and not for other reasons such as money and fame. One of the most simple but profoundly relevant pieces of advice shared by Arel was to “not forget those around [us]”. In our mad dash to the finishing line that is the A levels, the fact that our batchmates, seniors, juniors and even teachers, can be struggling as well can slip our mind. “Watch out for them,” Arel said, because they too, like you, could use a little bit of encouragement. A student of the Humanities Programme, Joyce also helmed this very journal as the Raffles Press Chair in 2015 alongside taking H3 Art, which formed the bulk of her commitments. 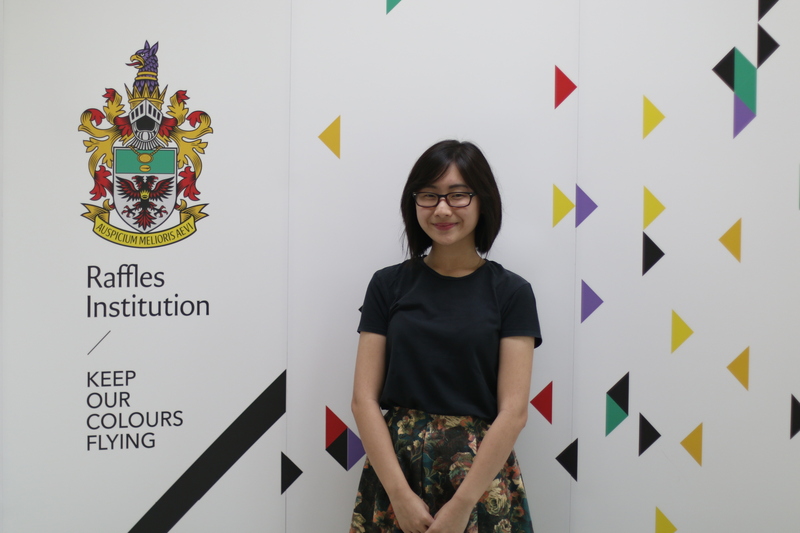 In her capacity as Raffles Press Chair, Joyce explored the whole gamut of journalistic experiences: from interviewing prominent ex-Rafflesians for the school’s print magazines to running the Raffles Press website. In fact, she notes with a touch of playfulness, one of her most memorable experiences in Press was being an interviewer for last year’s A Level coverage as opposed to being in an interview now. Student journalism, for her meant having to speak people everywhere in the school, showing to her the power of journalism to make connection amongst many different communities. 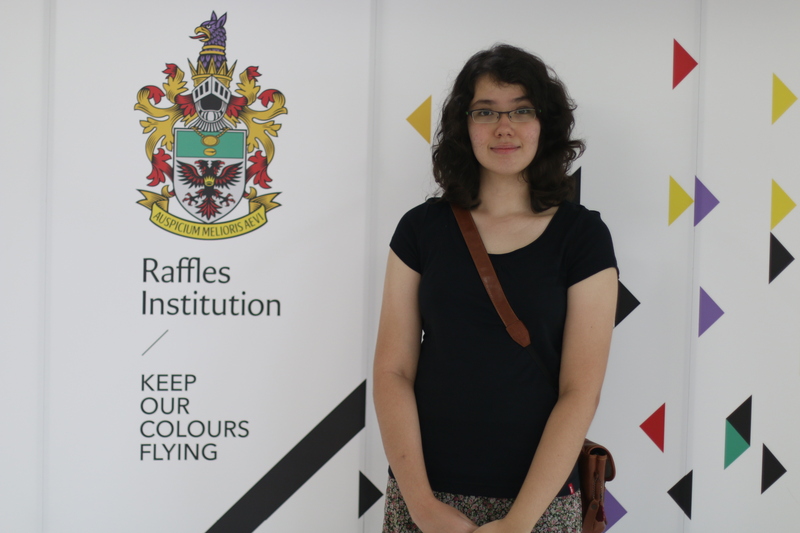 Giving her own take on the Raffles Experience, Joyce notes that what defined Raffles culture was a drive towards excellence and towards putting yourself to high standards in whatever field of study or commitment, something that for her was an important takeaway. When asked who she would like to thank, Joyce highlighted her friends in the small art community in Raffles as well as her teachers, Mr Chia, Ms Ng and Ms Ang who were both incredibly responsible and incredibly invested in her welfare. Other teachers who impacted her greatly included her Press Teacher Mr Caleb Liu, her subject teachers (among whom were the ex and current HP heads Mr Jamie Reeves and Ms Lye Su Lin), and her LBA mentors for making her multifaceted and thoroughly inspiring JC journey possible. Based on his academic record, Tan Siah Yong (15SO6J) may seem like the studious type, and his achievements in the Math Olympiad are certainly testament to his dedication and talent. But Math went beyond the competitive boundaries of the Olympiad, as he found during his time as the chairperson of Math Club. Math Olympiad took up a significant amount of his time, yet Siah Yong devoted the rest of it to discovering the enjoyable side of Math in the Math Club. He recalls that his time in the Math Olympiad in Years 1-4 was tough, and decided to reinvent the Math Club during his time as its chairperson. Introducing a variety of new strategies such as organising math-inspired games and an innovative CCA trial which involved cake cutting, he managed to break down the perception of Math Club as a serious and boring CCA, opening its doors to people who were interested in learning more about mathematics. Despite his Math-centric background, Siah Yong also has a variety of artistic hobbies such as drawing and writing (he was briefly a member of Writer’s Guild). He would like to explore Computer Science in university, which he hopes will give him a shot at data analysis post-university. 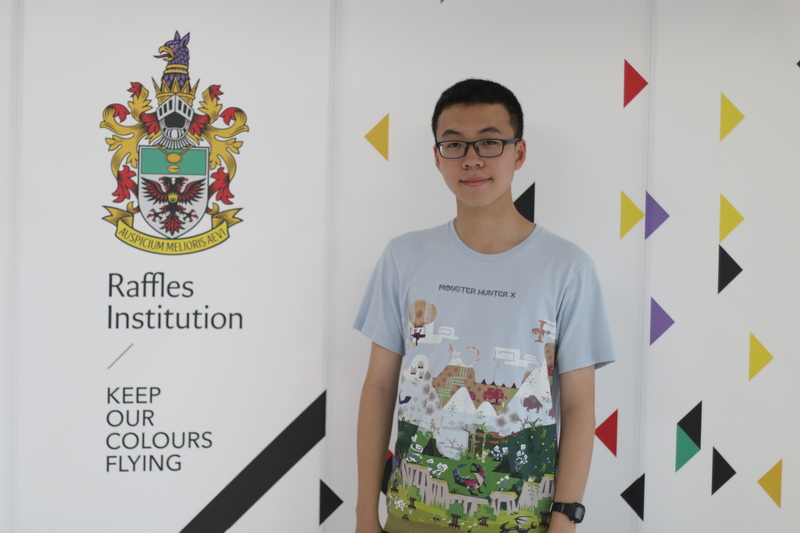 Hoping to study in the US, he also wishes to pursue his interest in the game industry, combining his interests with his goals for the future. For Hana, one of the highlight of her Rafflesian experience was her time in the Art Club. In her capacity as an EXCO member, she organized modules for her fellow members and strove to create an inclusive an open community where members talked amongst themselves and shared in their common experiences which included their annual school exhibition. Hana personally as a very visual person imagined stories as pictures in her head, and in that art for her as an opportunity to express her ideas and share her stories. When asked about what she would want to say to her juniors, she candidly notes that no one should spend all their time studying, because that leads to a point in which a student can no longer absorb information meaningfully. Meaningful and balanced apportioning of time, for studies, friends and family was for her something important in her A Levels journey. Spending time within the quiet and serene parts of the school and studying or just hanging out with friends were for Hana among the best experiences she had in Raffles. Hana expresses special appreciation for her History teachers Mr Michael Rollason and Ms Lynette Lim for all the fun she had in their lessons, and for being incredibly caring and dedicated. Jovi (15A01B) has always had an avid interest in Theatre, though it did not always start out that way. He admitted that he started out in Theatre wanting to be in the limelight, but in JC, refined his passion by exploring niche areas and selecting a specific direction. For instance, as scriptwriter and director of a play by The Humanities Initiative, he had to bring out strengths in his actors and raise awareness about a social issue — things that were not explicitly in his job scope. Working on a play on human trafficking enabled him to directly experience the greater purpose behind the Arts. It was then that the realisation that theatre does not exist in isolation dawned upon him. “Well-performed art can actually be used to do something social in nature.” From a distant issue to Singaporeans, human trafficking was transformed into a very real cause. He went through the whole process of research, interviewing organisations such as EmancipAsia, and eventually produced four individual monologues to bring across a message on the human suffering caused by illegal trafficking. Raffles Press would like to wish the Batch of 2015 the best of luck in all their future undertakings!